China on Friday, said it has sought information from India of the Chinese national reportedly arrested in Manipur. “According to the information we received, the Chinese embassy in India has requested relevant information on the arrested person.” the Chinese Foreign Ministry said in a statement in Beijing. “We will continue following the development of the incident closely,” the Ministry said. 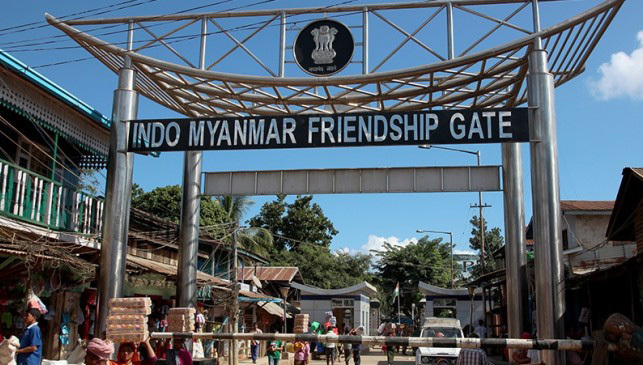 A Chinese national, suspected to be a spy, was arrested by Assam Rifles jawans from a place near Moreh, along the Myanmar border in Manipur’s Tengnoupal district. The person has been identified as Qin Min Xiv Xiang hails from Fuzian province of China. Different Chinese, Vietnamese and Myanmarese documents, foreign currencies, a pen drive and a compass were found in his possession. After this incident, the Chinese embassy in New Delhi has issued an advisory warning to its tourists to abide by local laws, including avoiding straying into restricted areas, adding that illegal behaviour will not be tolerated. The notice posted on the website of the embassy on Wednesday did not give details of any violations, but warned its citizens to abide by laws covering six areas. These included not carrying prohibited items such as ivory and rhino horns, not overstaying visas etc.